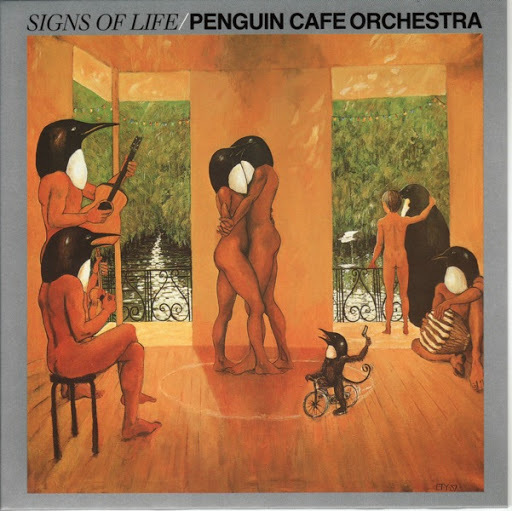 Song of the day: Penguin Cafe Orchestra – "Perpetuum Mobile"
Today’s track is not particularly power-poppy. It’s not especially rocky either. It’s not even Australian. But it’s music I went “Wow” the first time I heard it. Have you ever experienced a piece of music where, when you first heard it, time pretty much stood still, and whatever you were doing at the time was immediately forgotten, and you were rooted to the spotted, transfixed, hypnotised, as if under a spell, until the music finished and the spell was broken, leaving you wondering what happened? You are currently browsing the archives for the Penguin Cafe Orchestra category.